We have a Special Weekend Event happening on Friday & Saturday! 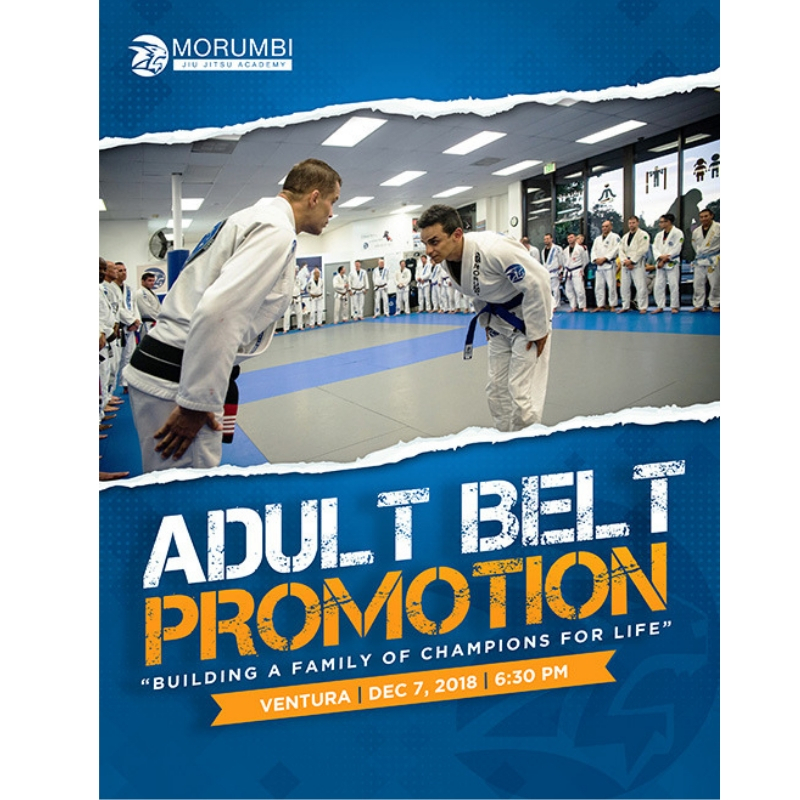 Our Belt Promotion Event is on Friday at 6:30 pm in Ventura. We also have a special Holiday Kids Super Training on Saturday from 10AM to 1PM. This is a great opportunity for you to come and catch all the fun and action. We invite you to come out and support your fellow academy members as they make the journey onto the next level of Brazilian Jiu Jitsu. We will be closed for our normal classes starting tomorrow and Saturday. PS - Our Kettlebells classes will still be running our normal schedule on Friday morning (Ventura), as well as No Gi (Thousand Oaks).